My motor racing journey started when I was 8 years old. Initially I raced 100cc karts at my local karting circuit, and my passion for motor racing transpired from there. I went on to win multiple karting championships including becoming the youngest ever 250cc FIA European Champion. It was natural progression that I moved into car racing, so in I made the move in to Formula Renault with Haywood racing and secured some solid podium results and 4th overall in the Championship standings. I felt it difficult not to have complete control over everything involved with my racing, so in I decided to start my own motor racing team ‘Wilcox Motorsport’, and we competed against some very well established teams in the British Formula Vauxhall Championships, which was the main support race to the popular BTCC TOCA series. I won 5 races and finished 2nd place in the Championship. Around came and I managed to land a major sponsor in I.C.I Chemicals, which enabled me to compete in both the European and British ( Formula Opel & Vauxhall ) series with my main focus on the European championship which was the support race for the European rounds of the 1997 FIA Formuld 1 World Championship. I engineered and ran my own car to 4 victories, 3 Pole Positions, 3 fastest laps and 2nd place in the European championship ( Despite missing a round ) and 5th place overall in the British championship, beating the likes of Paul Stewart Racing (became Jaguar F1) a well respected team in the championship and numerous soon to be Formula One drivers. At the end of the 1997 season I was also nominated for the prestigious Autosport McLaren Formula 1 young driver of the year award. In , the only move for me was British Formula 3, but I decided that it was impossible for me to ‘go it alone’ at such a professional level so ‘ Wilcox Motorsport ’ ceased to exist and I was able concentrate on my driving ( a return for the team ran by Adam in 1999 with another driver claimed championship victory in the 1999 ARP Formula 3 Championship ). So I signed up for Speedsport racing driving a Dallara Honda but after the first 3 races took up an offer to switch teams to the works Toyota team, 'TOM’S racing' driving thier own Toyota 036F Chassis this time with a Toyota engine for the next two races before eventually switching back to Dallara and straight away was on the pace and narrowly missing out on a podium finish at the Silverstone British GP support race. However TOM’S were then bought out by Audi and I had to move teams again, this time to Intersport racing and yet another engine manufacturer in Opel, all this meant my effort was in vain and I finished a disappointing season wondering what could have been. At the end of the 1998 season I was invited to test Formula 3000 by team Astromega, which I ended up setting the days fastest time but I was unable to raise a race budget for F3000 the following season, however the team asked me to continue with them and carry out their development work, which I completed about 8 days running at various European circuits often setting the fastest overall session times out pacing regular F3000 race and later Championship winning drivers. I also helped the team with their data analysis for other drivers, which I enjoyed and have had an active involvement with PI, Stack, Magneti Marelli, Motec and Bosch systems. 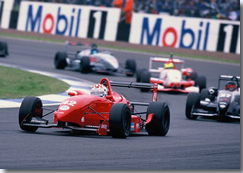 In I made a move to Formula Palmer Audi ( with a view to winning the series and the prize of a fully funded F3000 drive for the following year ) but instead suffered a difficult year of frustration and problems with the car as did many drivers that year. The year was a make or break year for me, I left single seaters and moved to GT style cars with Lotus Motorsport, winning the series with 9 wins out of 13 races, along with three 2nd place finishes and 9 Pole Positions and 9 fastest laps. After winning the Championship Lotus Motorsport appointed me as their number one test and developments driver for the series which eventually came to an end at the end of 2001. In I signed up for Brookspeed to run in a Chrysler Viper GTS-R GT1 alongside Ex-Formula one driver Tiff Needel, I competed in only one race, I achieved pole position and a 25 second lead in the race, before my driver change, my co-driver eventually come home in 2nd place, before the Interactive Sportscar Championship was forced to end due to financial difficulties of the organisers. So I sought a new challenge and looked at Japanese GT ( JGTC ) in Japan and decided this is where I wanted to be to re-launch my career. I was fortunate to be backed by Yokohama tyres who found me a drive with 910 at 'Special Stage Malaysia' in the JGTC Series of which I finished 7th. 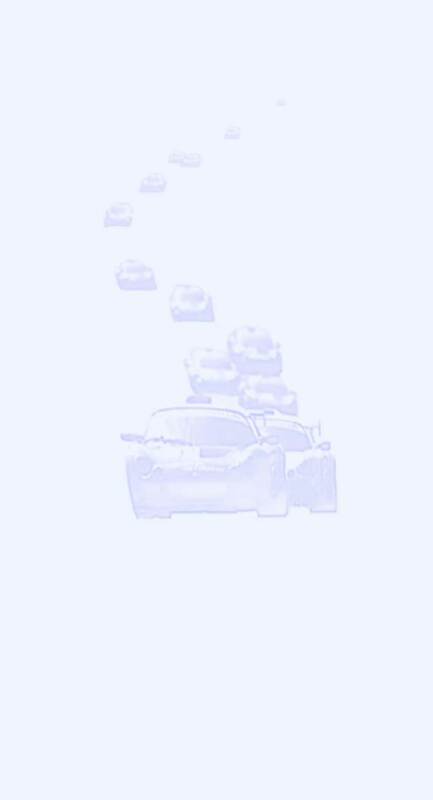 910 then asked me back again with the help of Yokohama to race at the 1000k Suzuka race, I did and got Pole Position and won the race in a Porsche GT3. For Japanese team 910 Racing contracted me to drive for them in the All Japan GT Championships (JGTC) alongside Japanese Indy car star Hideshi Matsuda, and we finished 6th place in the 2002 GT300 Championships, securing podium finishes and fastest laps where I equaled the highest placed ever non-Japanese GT300 driver record of Ex-Jordan Formula 1 driver Ralph Firman. During I drove in selected rounds of the All Japan GT Championships using a NISMO Nissan Silvia S16 and Porsche GT3-RS. 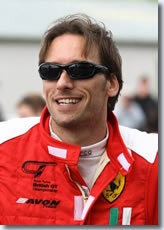 In I returned to the UK and was Lead Driver / Team Manager / Engineer for DRM Racing and using a Ferrari F360 GT alongside Portuguese driver Ni Amorim, we won the 2004 British GT Cup Championships. 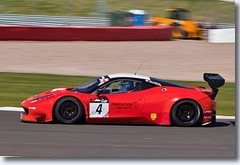 As well as competing in British GT Championships, I raced in 2 rounds of the Ferrari Challenge Championship at Spa Francorchamps in Belgium, claiming 2 Pole Positions, 2 fastest laps and won both races out pacing both the British and European Ferrari Challenge runners by over 1.5 seconds per lap. For the season I had planned to reform ' Wilcox Motorsport ' and run a GT2 and GT3 car in the British GT Championships, however I later decided against reforming the team and took up an offer to drive for Vision Marketing in the final 10 races of the 2005 British GT3 Championships alongside Phil Burton, driving a Ferrari F360 GT. 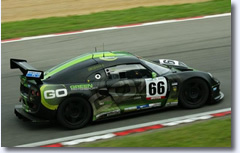 I helped the team develop the car from a midfield running car to claiming Pole Position at the penultimate races at Mondello Park and also winning the final Britcar GT open race of 2005. In I continued with Vision Marketing in a Ferrari F360 GTC driving alongside car owner Phil Burton in the British GT Championships and selected races in the ' Britcar ' series, at the beginning of the year in Britcar things started well with Pole Position and a win at Oulton Park however in the British GT the car suffered mechanical and electrical problems and was un-reliable, but towards the end of the British GT season things had turned around and they were finishing on the podium, and I was able to be setting fastest race laps and qualifying on Pole Position in the final British GT race of the year at Silverstone, as well as qualifying in Pole Position for both of the Britcar GT3 winter series races at Donington Park and Brands Hatch. 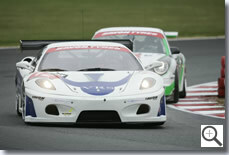 For - Adam continued to drive alongside car owner Phil Burton in the British GT Championship and the duo made a very good "Pro-Am" partnership this time with the Predator CCTV Racing team driving the Ferrari Scuderia GT3 car and Adam secured numerous Pole Positions, Podium finishes and fastest laps throughout for the team, their highest overall championship result was 4th. During the 2011 and 2012 seasons it was clear the teams Ferrari F430 Scuderia was getting a little long in the tooth and the team struggled to get the results they deserved until eventually at the end of the 2012 season Phil Burton took the decision to retire from Motor Racing. 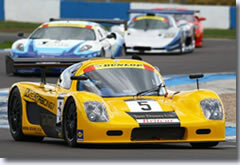 During Adam also assisted MacG Racing a new team running an Ultima GTR in the Britcar Endurance Championships, taking a new car and a new team right to the front of the field in it's first outing Adam was running as high as 2nd at Silverstone, and has helped the team to continue to develop the car and promote the team to 'customer drivers' in the future, Adam raced in selected Britcar events as well as competing with the team in the Britcar 24 hour of Silverstone and finsihed the Britcar season in 4th place in Class 1. As well as competing in the British GT Championships Adam drove for the Go Green Motorsport team with their Lotus Motorsport Elise at the Lotus Motorsport Festival at Brands Hatch where Adam and the teams regular driver and car owner Rob Fenn finished in 2nd place after a few car problems meant the duo would miss qualifying and had to start from the rear of the 44 strong grid... And a return at Donington Park in October where Adam secured Pole Position by over 1 second, and set the fastest race lap and a new Lap Record as the duo went on to win the race keeping Rob Fenn/Go Green in contention for Championship victory. For the season Adam continued racing in the British GT Championship at the Silverstone 500 race with Mtech Racing alongside Phil Burton in a Ferrari 458 GT3 and the final round of the season at Donington Park with factory team Aston Martin Racing in an Aston Martin Vantage GT3 marking his 10 years of racing in the British GT Championship since winning the GTC Drivers Championship back in 2004.
" We didn't have too much luck in either of the races this season with various conditions out of our control a braking problem on the Ferrari and a mis-fire on the Aston Martin whch was frustrating but it was good to be back driving again in the series which has gone from strength to strength over the past few years, I hope to make a full time return to the Championship sometime soon ". For Adam joined new team HUD Motorsports driving their Audi R8 LMS GT3 car in the GT Cup Championship alongside new to Motorsport co-driver a car owner Nigel Hudson for the final two rounds of the season at Donington Park and Oulton Park where they narrowly missed out on victory with Adam coming through the field to finish a solid 2nd place at Oulton Park. the Duo finished 3rd in the GT Cup GTO Championship taking x1 Win at Donington Park as well as a few Britcar Endurance races " Nigel is new to Motorsport and we have worked hard togther this year to get him up to speed and he has gone from a new comer to front runner which is brilliant ". Adam also assisted Team running x2 GT4 cars in the British GT Championship helping them to secure an overall GT4 race win, and win the 2016 GT4 Team Championship. 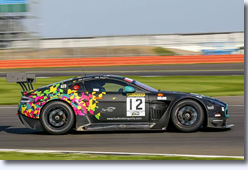 For Adam and Nigel competed in the Britcar Endurance and GT Cup Championships in an Aston Martin Vantage GT3 with the main focus on the latter, numerous race wins in both Championships finishing the season 2nd place in the GTO Category in GT cup and 4th in Class 1 in the Britcar. 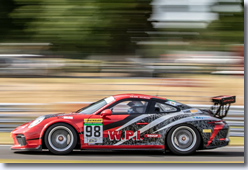 Adam also competed in the final round of the Britcar Championship in a Class 2 Porsche 991 GT3 Cup taking a class win and an overall race win at Oulton Park driving alongside car owner Michael Igoe. "A great result considering this was Michael's only third ever race weekend ". 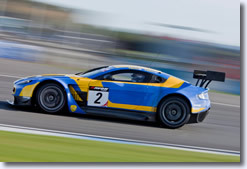 For Adam continued to drive alongside Nigel Hudson in his Aston Martin Vantage GT3 for the first half of GT Cup season doing x4 rounds in the GTO class taking race victories along the way which would result in finishing 2nd in the GTO championship. For the second half of the season Adam lined up alongside Porsche 991 GT3 Cup owner and rapid newcomer Michael Igoe and competed in both the remaining GT Cup rounds as well as the Britcar Endurance Sprint Championship, where the pairing would secure 1st Place in Class 2 in the Britcar Championship and 2nd place in the GTC class in the GT Cup Championship.